Guardians of the Galaxy, the new superhero film from Marvel Studios, premieres nationwide this Friday, but that hasn’t stopped big news from the San Diego Comic-Con this weekend regarding the franchise’s future. During a Hall H panel at Comic-Con, director James Gunn (Slither, Super) and Guardians star Chris Pratt (Parks & Recreation) announced that the sequel to the highly anticipated film will hit theaters in July 2017! Early reviews for Guardians are out of this world (see what I did there? 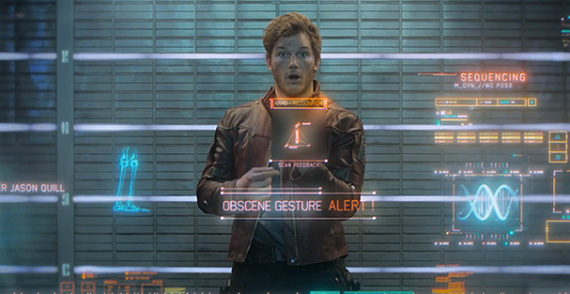 ), and Marvel Studios is most likely banking on audiences clamoring for more of the motley space-based do-gooders. 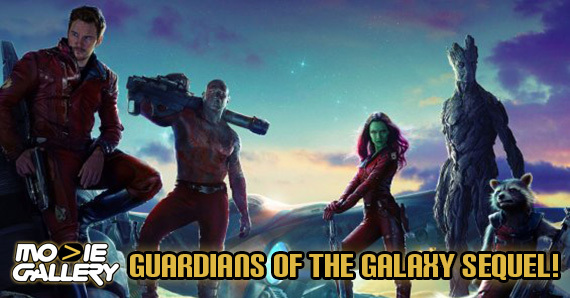 Guardians of the Galaxy, starring Chris Pratt, Zoe Saldana, Dave Bautista, Vin Diesel, and Bradley Cooper, and directed by James Gunn, premieres this Friday, August 1. This entry was posted in The MG Blog by jedkeith. Bookmark the permalink.